The EB-5 Investment based immigration Program is designed for those investors with sufficient resources to petition themselves and their families for Permanent Residency. The U.S Government has consistently supported the EB-5 program in its ability to add to the U.S economy both financially and in terms of job creation. 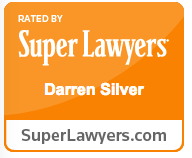 The Law Firm of Darren Silver & Associates, LLP is your premiere Resource for Filing Investment based Permanent Residency. 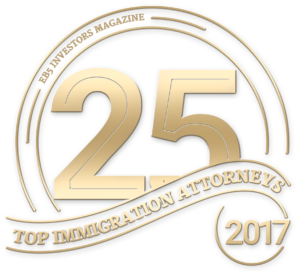 Our Attorneys are highly skilled in assisting investors with the complexities that surround the EB-5 Green Card process. The Firms has successfully filed over one thousand five hundred EB-5 Green Card applications. (1) Direct/Individual EB-5 and (2) Regional Center EB-5. The Investment must be at least $1million or $500,000 in a qualifying location. Generally, Non-Passive, Investor must manage the Business. Generally, the Investment must create at least 10 new U.S jobs. A Conditional Green Card will be issued to the investor, spouse and children Under 21. While the most common approach to the Direct EB-5 is where an individual investor either starts or purchases his or her own business. That investor with the correct investment threshold and job creation can look towards applying for a Green Card under the Direct Program. There has been a rise in processing Direct EB-5 applications for larger, “pooled – investment” Projects. As with Regional Center Projects, multiple investors may pool investment resources into a single Direct Project. There is no requirement of majority ownership for EB-5 purposes. The most significant difference between a Pooled Direct Investment Project and a Regional Center Project lies with the Job Creation requirements. With a Direct EB-5 Project, the USCIS will require the creation of 10 new direct jobs to be allocated to each investor. In contrast, under the Regional Center rules, USCIS will allow both direct and indirect jobs to be counted as part of the job creation requirement. For more details and for the latest relevant information, please contact our Office. We will be happy to discuss your EB-5 needs with you.